Cisco 350 Series Switches• Improve the availability of your critical business applications, protect sensitive information, and optimize network bandwidth • Available with 8 to 48 ports of Fast Ethernet and 10 to 52 ports of Gigabit Ethernet connectivity. • Support advanced security management capabilities and network features for business-class data, voice, security, and wireless technologies. Cisco 350 Series Switches• The Cisco 350 Series is a broad portfolio of fixed-configuration managed Ethernet switches. • Available with 8 to 48 ports of Fast Ethernet and 10 to 52 ports of Gigabit Ethernet connectivity, providing optimal flexibility to create exactly the right network foundation for your business. • Support the advanced security management capabilities and network features. Cisco 250 Series Smart Switches• Combine power of network performance and reliability. • Provide multiple management options, sophisticated security capabilities, fine-tuned Quality-of-Service (QoS) and Layer 3 static routing features. • With an easy-to-use web user interface, Smart Network Application, and Power over Ethernet Plus (PoE+) capability. Cisco 220 Series Smart Switches• The Cisco® 220 Series equipped with security, performance, help build a solid business network within a restricted budget. • Limited lifetime warranty. • Includes a broad range of smart switches that provide Fast Ethernet and Gigabit Ethernet access with Power over Ethernet (PoE) Plus options. • Improve the productivity, evolving network demands in the future. 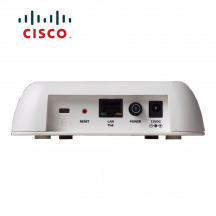 • The Cisco RV130W Wireless-N Multifunction VPN Router is an easy-to-use, flexible, high-performance device well suited for small businesses. 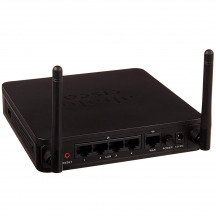 • Now with web filtering, it delivers highly secure, broadband, wired and wireless connectivity to small offices and remote employees. 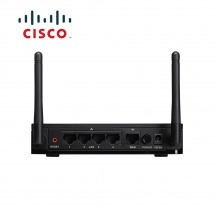 • It can also be used either as a standalone wireless router, access point, bridge or repeater for flexible deployments. • Secured desktop connectivity. • Flexible wireless connectivity. • Unified communications. • Simple and flexible management. • Power over Ethernet Plus. • A higher level of security and intelligence. • Easy configuration and deployment. • Flexible network management capabilities. • Reliability and performance. • Limited lifetime hardware warranty.